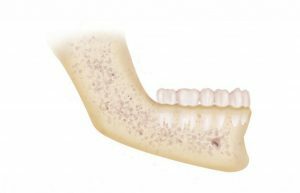 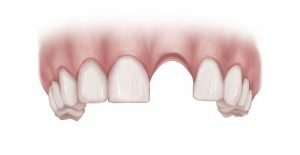 If a front tooth is replaced with a tooth supported bridge, eventually the replacement tooth looks like a false tooth as the gums and bone above the bridge begin to collapse, leaving the false tooth suspended without support. 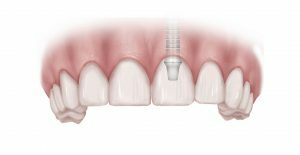 When a tooth is replaced with an implant-supported crown, the implant functions like a natural tooth root and preserves the bone, preventing the defect in the bone that would normally occur with tooth loss. 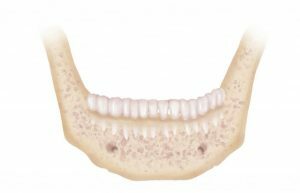 If missing teeth are replaced with dentures, facial structures are compromised. 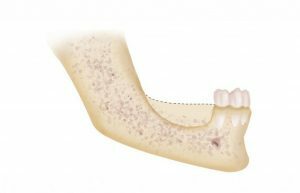 Dentures accelerate the bone resorption process as they put pressure on and compact the gums and underlying bone. 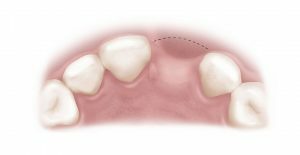 As facial structures continue to collapse, the dentures must be relined (made thicker) to compensate for additional bone loss. 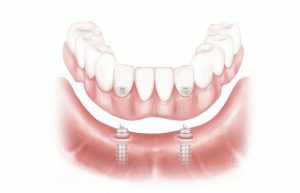 Replacing teeth with implant retained overdentures (or bridges) will preserve the bone and prevent the further deterioration of facial structures and the related health problems that would normally occur with complete tooth loss.